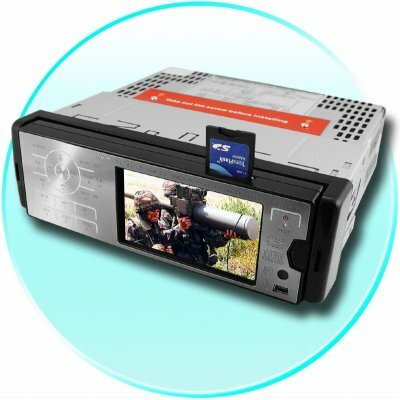 Successfully Added Car TV And DVD Player - Bluetooth + Subwoofer Output to your Shopping Cart. Below Wholesale Priced Car DVD Player with a built in TV tuner, Bluetooth function, and Subwoofer Output for great low bass sound. Added to list of impressive features as well is a 3.5 Inch TFT-LCD screen displaying images at 4:3 Aspect Ratio, 60Wx4 power output for great sound, and even a SD Card slot and USB Port for easily playing your MP3 music. This is a excellent product with incredible resale potential, and is a great choice for anyone looking for a 1-Din Car DVD Player to beef up the entertainment value of their car..
Buena calidad de vídeo y sonido excelente. Buen Bluetooth. Sin problemas hasta la fecha. Used it to trick out my car. All my friends says it looks dope. five stars man because it rules.